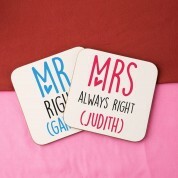 A novelty gift idea for a couple just married, or celebrating an anniversary. 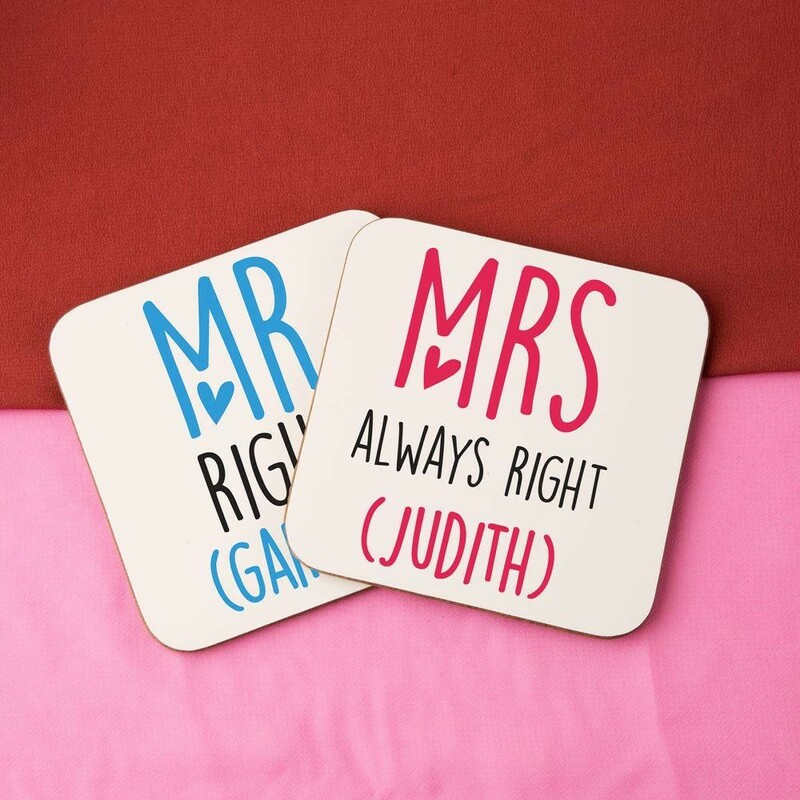 They will love to show off the comical coaster set on any occasion! 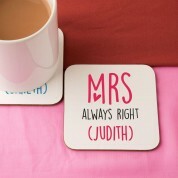 The simple design reads “Mr Right” and “Mrs Always Right”. 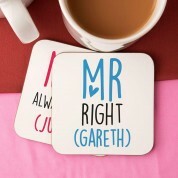 They both come personalised with the couples' first names. A cute red heart on hers and blue on his completes the design.